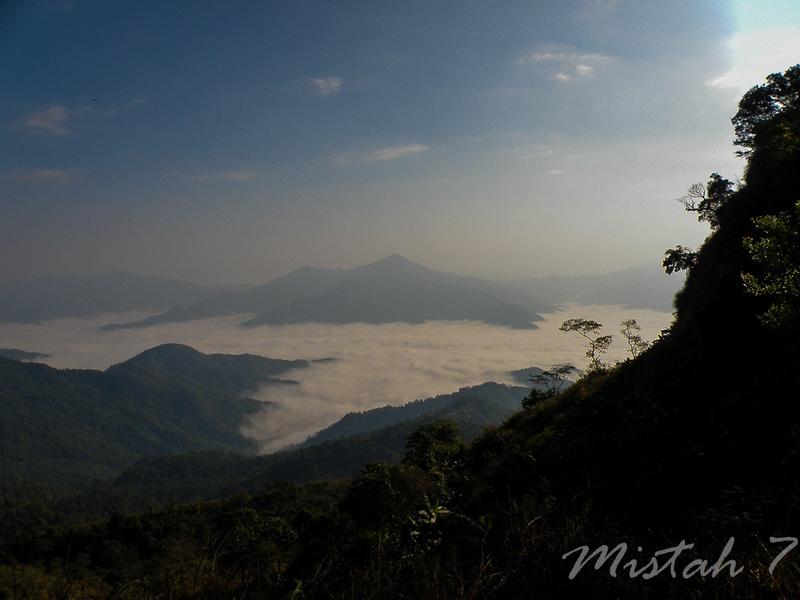 Phu Chee Fah is probably the most visited mountain top in Thailand together with Doi Suthep south of Chiang Mai. 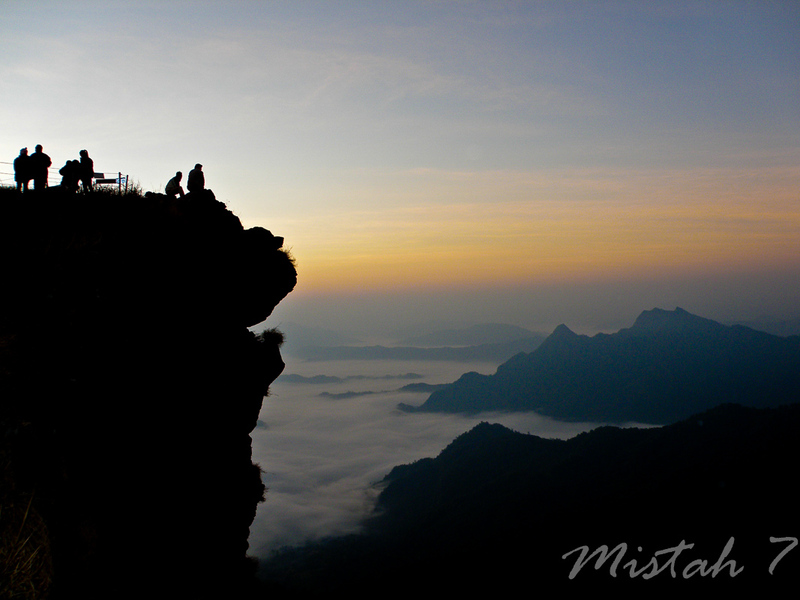 One year more than 50 000 people visited Phu Chi Fa during one week around New Year. But that is the extreme. 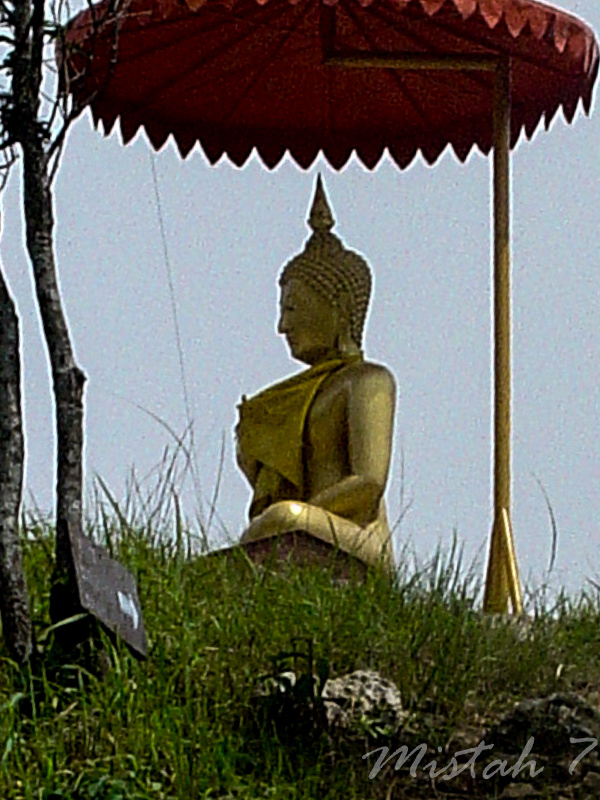 Phu Chee Fah is probably the most visited mountain top in Thailand together with Doi Suthep south of Chiang Mai. 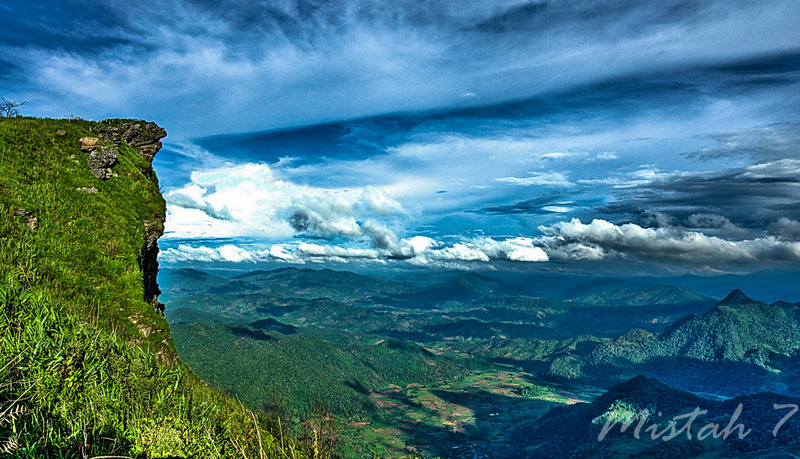 One year more than 50 000 people visited Phu Chi Fa during one week around New Year. But that is the extreme. If you go there before Christmas or after the first two weeks into January there are much less people. And there are much more people there in the weekends than in weekdays. 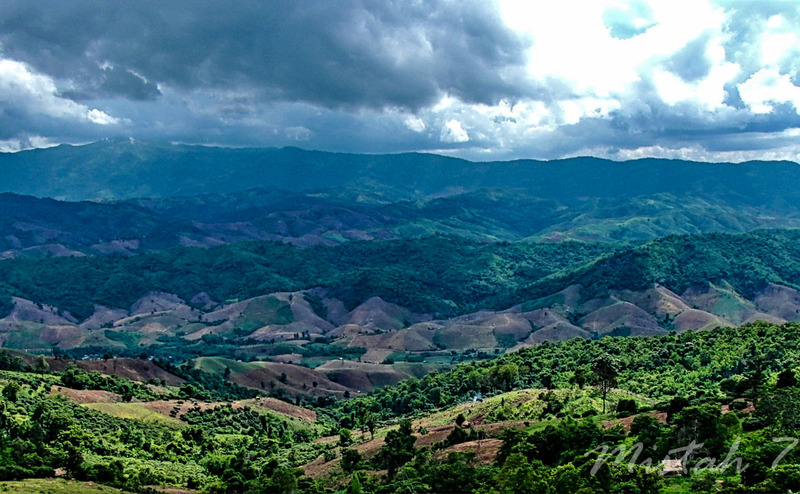 Phu Chee Fah is 1,628 metres above sea level and you will have a good view over Laos and can also see Mekong River in the background 14 km away. 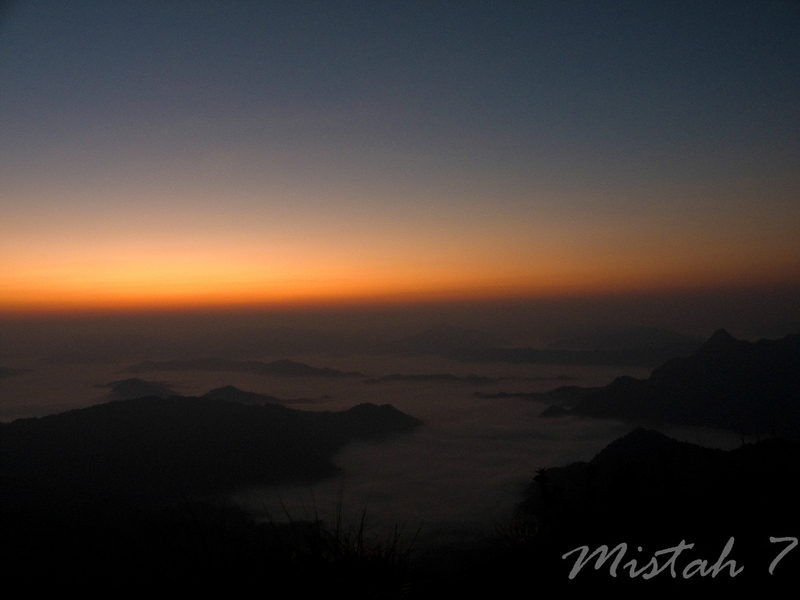 Most people like to be there in the sunrise because in the Cold Season there is a mist down in the valleys and standing on the top of Phu Chi Fa looking down is like looking over the sea. In the Cool Season several kinds of wild flowers are in full bloom, especially Nang Phaya Suakhrong or Thai Sakura (Prunus cerasoides D.Don) which will welcome you with its prolific charming pink flowers and the white bauhinias (Bauhinia variegata Linn.) which bloom from February to March, painting the forests with its white colour.. 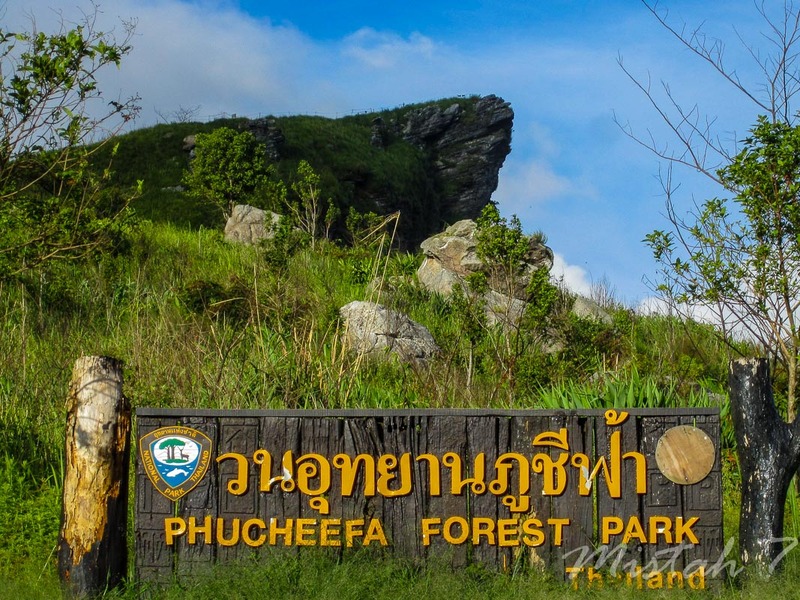 The name Phu Chee Fah is Thai for the Mountain Pointing to the Sky. 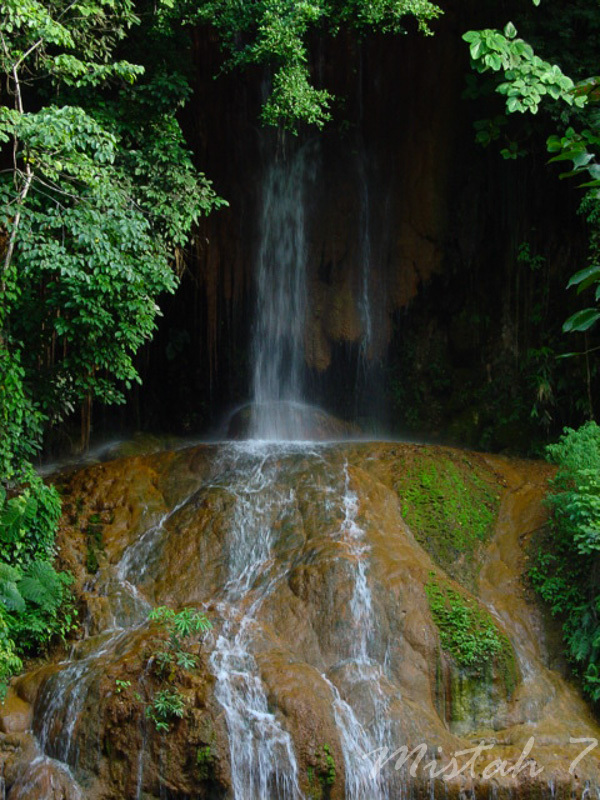 If you go to Phu Chee Fah passing Thoeng then you can also stop at the very special Phu Sang Waterfall. 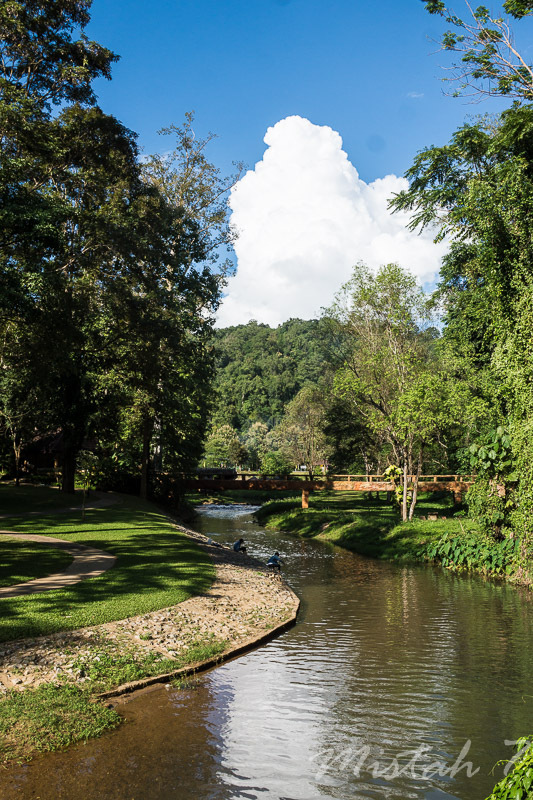 You can see it from the road and it is a nice place to stop for lunch or a coffee. 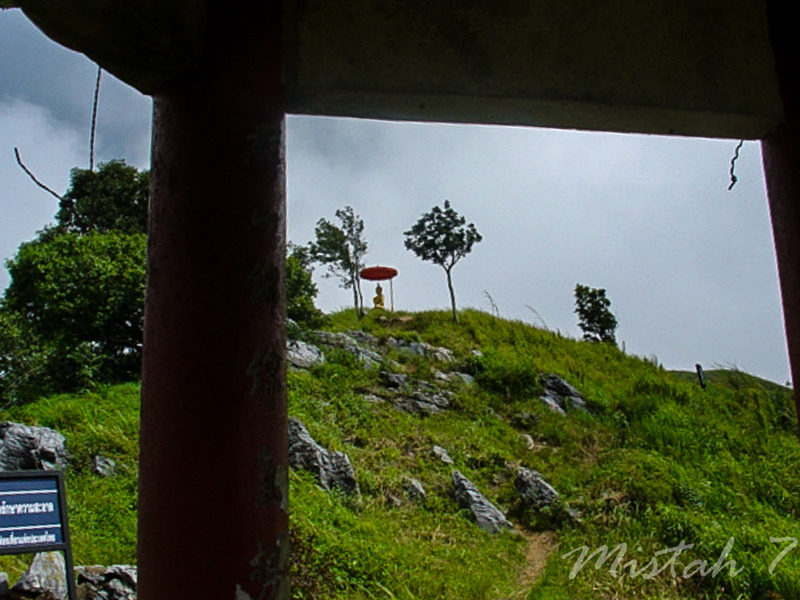 You can also take a little walk and climb the stairs beside the waterfall and up there, not higher than 35 meter, there are hot springs. 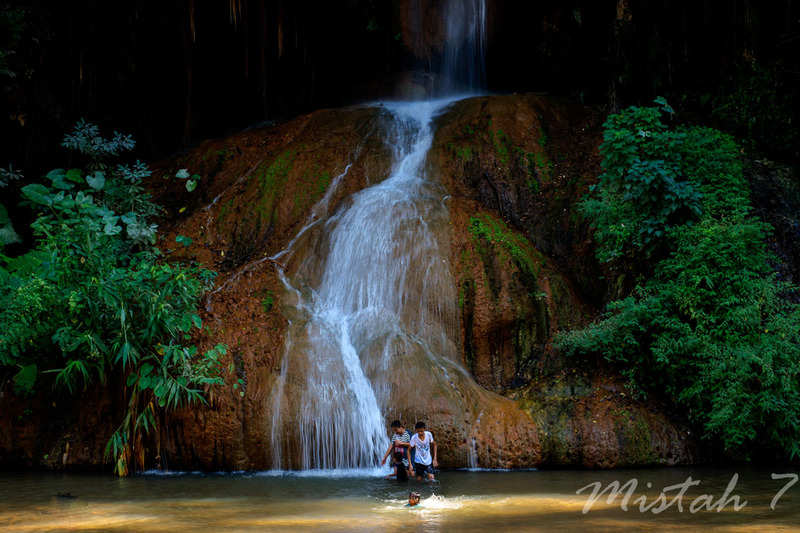 The hot springs are mixing the hot water with cold water coming from a stream and the mixed water goes to the waterfall and it is very popular for young people to have a shower in the waterfall. Up there there is also a path so you can take a walk around, it is not more than 1 km and it is absolutely flat. The whole area is a National Park. The next last photo is from Gate of Siam 09.45 a morning in January. 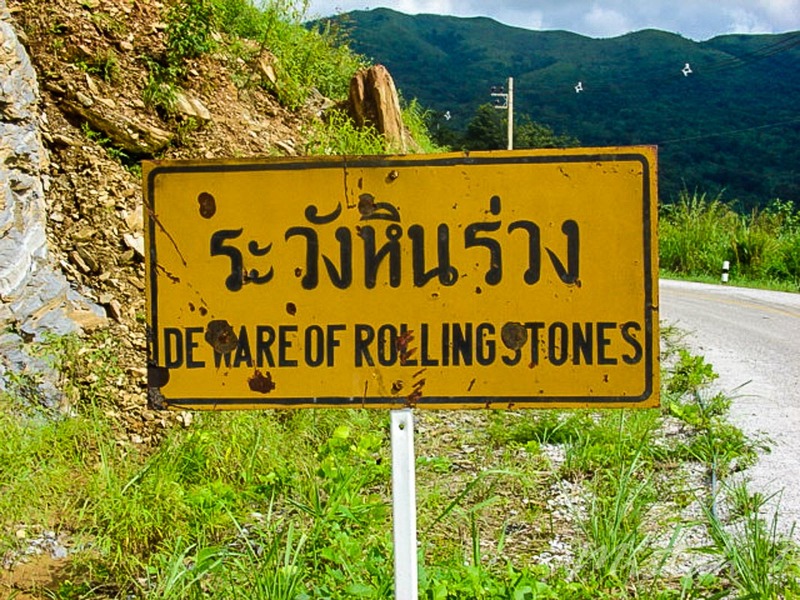 If you like Beatles it is OK but don't talk about "Rolling Stones" (! ).